“Whether it’s for getting patched up after a fight, dealing with a debilitating disease contracted in a fetid dungeon, or negating the effects of a terrible poison in the middle of combat, eventually every adventurer needs a healer. Most healers have their own agendas, though, and these don’t always end at mending their allies’ ailments. 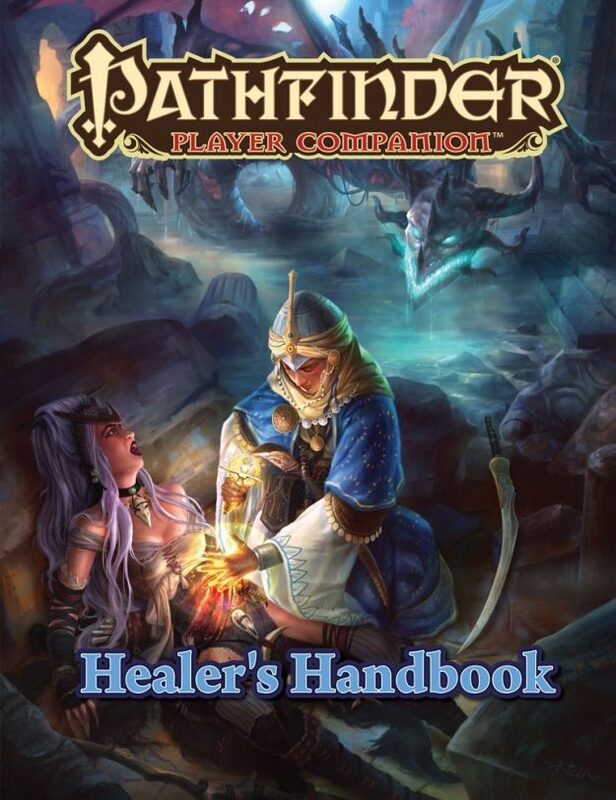 With Pathfinder Player Companion: Healer’s Handbook, characters can learn to efficiently heal their patients—without finding themselves reduced to being walking first-aid kits. I’m particularly excited about the “without being reduced to walking first-aid kits.” After all, nobody wants to sit around casting cure minor, moderate, or serious as needed. Also interested to see what the arcane physician wizard looks like. I mean, letting someone bind your wounds with ELDRITCH MIGHT, what could go wrong? At any rate, if you keep finding your inside bits on the outside, this book might be the thing your party needs.